The Best "Hobby" in the World Comes to Hampton Court & Tatton Park. 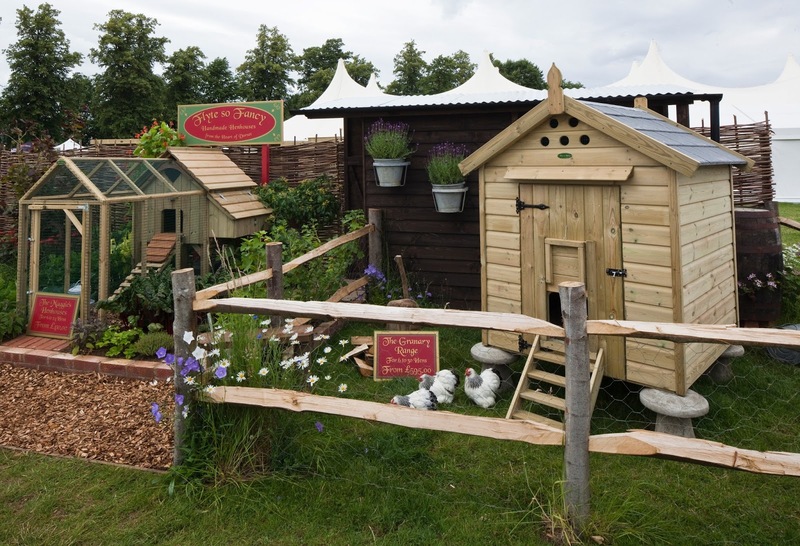 As we announced last week, Flyte so Fancy in conjunction with the Royal Horticultural Society and Country Living Magazine, are collaborating to bring Celebrity Designer Hen Houses to Hampton Court and Tatton Park this year. Phillipa Forrester, Sophie Conran and Kate Humble are being joined by gardener David Domoney (dubbed the Gardeners Gardener), Nikki Tibbles (florist to the stars) and Deborah Meaden (of Dragon's Den) to bring unique touches and a rainbow of colour to the Royal Horticultural Shows. As such, I took a trip down to the workshop to watch Deputy Foreman Toby build these six very special Long Legged Hobby Hen Houses. Having just finished his build of Annie's Arks (perfect for smaller gardens by the way) and having drained a cup of coffee, Toby turned his full attention to crafting these coops, reminiscent of an alpine retreat. Starting by building the frame around the 9mm marine plywood floor, the square and tape measure were everywhere to make sure that everything was millimetre perfect. A millimetre here or a millimetre there can mean a centimetre out later on. The use of superior solid Scandinavian redwood timber 38 x 50 for the frame, certainly makes this level of craft work far easier. Once the frame work is finished (along with another cup of coffee) its time to clad the front and removable back door of the coop. Toby's fastidious attention was then turned to the houses handles. These handles make the coop perfectly portable, and are designed to fit the hand comfortably, meaning its just a two person lift to pastures new. As morning turns to afternoon and more coffee is quaffed, the cladding of the sides are done. Once everything is flush and secured in place, using stainless steel nails, the sand paper comes out and all the corners are smoothed and sanded down to a beautiful soft finish. The nest boxes (large enough for two hens to lay eggs at once) get their privacy wall attached, the finished item and perches then get installed in the house, all ready to go. Having been elected tea maid by the workshop staff, by the time I returned Toby was putting the pièce de résistance that adorns all our houses onto the coop. 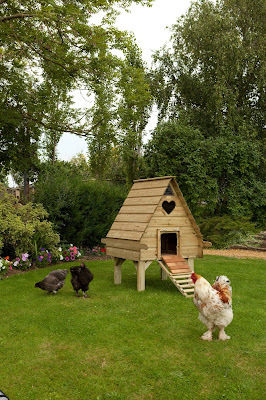 With a steady hand and nerves of steel, the Flyte so Fancy trademark heart window was carved into the Hobby Hen House. A final sanding, a brushing off and a small label with the name "Phillipa Forester" tied carefully to the handle and I was shooed from the workshop. That was one of the Long Legged Hobby Hen Houses built, only five more to go; then they shall be off to various celebrity designers to be painted, daubed and decorated into real stars of the RHS Hampton Court and Tatton Park shows. 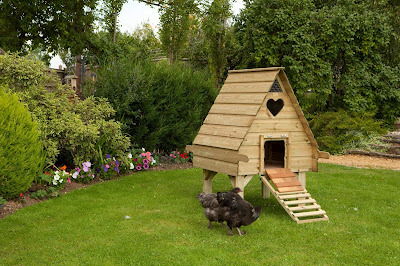 The Hobby Hen House is a great starter house for people new to the chicken keeping way of life, equally, it is a terrific all round dependable house for people who want their hens of many years comfortable, safe and secure. Ridge ventilation and a full lift out back door for ease of cleaning are just some of the practical features this coop comes with. The final option of a variety of run lengths for the coop, so that your chickens can get their daily exercise safely, make it an ideal hen habitat. The coops we are sending out to our celebrities are the long legged version, designed so hens can gaze majestically over the surrounding savannah as they enjoy their morning cup of mealworms. This gives the added bonus of a shaded place in the summer to keep cool, or as is more likely, somewhere to keep out of the rain. With one house down, we've still got a lot of work to do, I had better put the kettle on. Finding a rare moment in between the "summer" rain showers and general bleak grey colour the sky has been since February, Rich (our Operations Manager) and myself (office dogs-body) rushed onto the lawn armed with variety of screws, a camera, a screwdriver and the sheer pluck and determination to get the new Junior Protection Pen Instructions done before the next black cloud rolled over (as you can see from the image below we were not short of people with "useful" tips). The Junior Protection Pen as you no doubt guessed from the name is a baby version of our incredibly popular Protection Pen range. After many many many customers phoned up and requested a slightly smaller Protection Pen to fit in any garden, Boss Phill rallied the troops and came back with the results. At only 6ft wide the Junior Poultry Protection Pen is a perfect size for any garden, the handy fact that they come in three lengths of 9ft, 12ft or 15ft long doesn't hurt either. The 'Junior' (always said in a Sean Connery accent after having seen Indiana Jones and the Last Crusade far too many times) boasts a walk in door which even at my great height of 6' 2" is an easy fit and once inside I can stand straight, whilst admiring the chickens clucking around. The Junior has all the usual strong build predator proof panels as all our runs do, with their plastic coated galvanised weldmesh, strong framework and a padlockable door. The vast array of extras available to the Junior Protection Pen, can turn this from a safe haven for hens to a chicken cathedral. Our transparent weather-proof roofing means that your girls can be out enjoying some exercise without having to worry about keeping their skirts out of the mud. When combined with the windproof skirting (great for bantams and quails to keep the wind from their feathers) the run becomes a dry and safe place for hens. The Mating Panel that can be fitted to the run also provides a safe passage between house and exercise yard for your girls, combining the spaciousness of the Protection Pen with the safety of the hen house. Finally the run was designed with smaller gardens in mind and as such it has two sturdy handles built into the poultry protection pen itself, so when its time to move to fresh grass, it's pip, pip and chocks away! Having got to the end of our instructions build and taken a moment to enjoy a cup of tea, we went and got a couple of our specially trained volunteers to give it a go. Mork and Mindy (two chickens of docile and inquisitive nature pictured above) have extensive training in trying out Flyte so Fancy Hen Houses and they gave our Junior Protection Pen two thumbs up. Canon's Ashby House, near Daventry is a beautiful National Trust Elizabethan Manor House set among tranquil gardens and features among many other things a Motte and Bailey castle, a medieval church, the occasional Jacobean tapestry and perhaps most exciting of all; a Flyte so Fancy Granary Hen House, which will soon be starring among the newly renovated gardens grand reopening to the national press (done from Sir Henry Dryden original 19th Century Designs). Available in three sizes of picturesque beauty (3ft Granary, 4ft Granary or 6ft Granary for those who have more chickens than space) the Granary Hen house contains some fantastic features, superb finish and the same classic construction that is expected from Flyte so Fancy. I was visiting the despatch department this morning, aiding in the packing of the National Trust's hen house, telling people how I would do it and generally getting in the way, but more importantly getting a really close look at the quality and thought that goes into the construction of this hen house. With its ornate fittings, the joinery-grade timber we use on all our builds and clever answers to everyday problems (i.e the removable tarpaulin droppings sheet that can just be hosed clean), the Granary is a great addition to any cottage garden setting, veggie patch or field. The 3ft Granary hen house is also eminently easy to move with its built in handles, requiring only two people to lift it from idyllic locale to perfect placement (although the larger models can be moved too, the FSF team demonstrating thus in the photo below). Rising high above the surroundings on its secure staddle stones, it's as close as we've been able to get so far to putting a chicken house on the 4th plinth. While having been personally chased back to the office by an irate Operations Manager aided by the collective might of the workshop and despatch team, wielding the Granary's barge boards, removable perches and finials, quite splendid it would look there too. Luckily for me the removable nest box had already been packed. 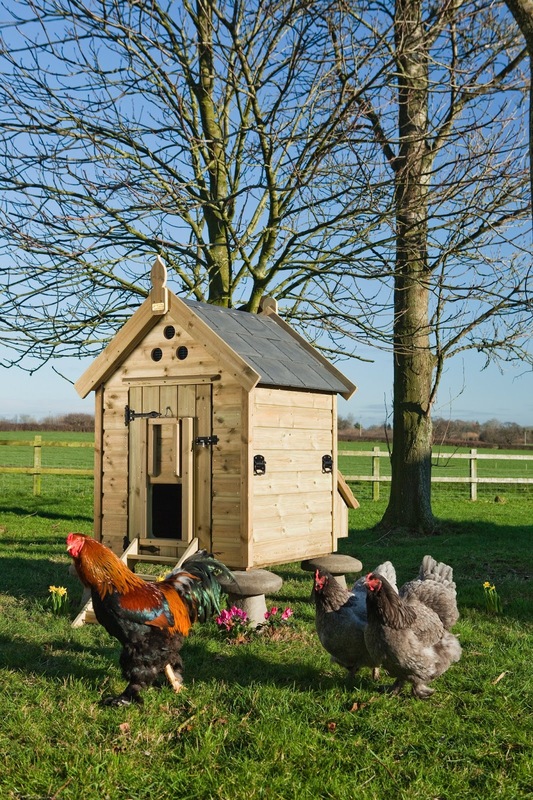 This majestic range of chicken houses comes with an option of a timber roof or an enchanting lead finished slate effect tiled option, which is a particular feature and is the design that will be gracing Canon Ashby House. Everything about the Granary is emblematic of the clever design, strength of build and grace of beauty that we aim for here at Flyte so Fancy; and when we displayed a Granary among other houses at the Royal Hampton Court Show 2012 it received a fabulous response from all who saw it and we hope that if you are strolling around the newly renovated gardens at Canon Ashby on a sunny weekend, you will admire it too. Regular followers of our social media pages will have seen the various new arrivals that have joined our family, what with the coming of Spring here at Flyte so Fancy in Dorset. Whether it was Theobold III the duckling, our little clutch of Hamburg chicks or our cute gosling (cruelly named The Ugly Duckling by the gardener) every year we have some new additions to our chicken paddock. At FSF, the bosses have been rearing chickens for longer than I've been alive, which is why when they started Flyte so Fancy, Phill designed a Broody Coop that had everything he's ever wanted from a house designed for the raising of chicks. With large back door pull out access and a roof that lifts up, access into the coop to get at your hens and chicks, makes for easy cleaning and speaking from experience it is really easy to take pictures of your cute chicks as they wander around the safety of the house. The great extra to the Broody Coop is the one metre (or two metre if you want that option) run that is built into the structure of the house. This means your chicks can get some exercise, doing endless circuits of the house, as mother hen watches on. 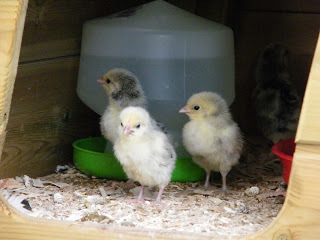 The rearing of chicks is a relatively simple process nowadays, with feeders and drinkers designed for the smallest of chicks or ducklings and baby chick crumb easily available, your young ones will grow safely and securely till they are old enough for mother hen to be taken away (usually around four weeks old). Once our miniature flocks reach eight weeks old (roughly) we move them to a larger chicken house. There is often much debate over whether chicks should be given perches, we usually say as long as they are at least 5cm wide, to avoid damaged breast bones, this should not be a problem. At this time the chicks will need to be in a house where they can take shelter if they need too, however if it is an adult house make sure that the nest boxes are blocked off, for once they start roosting in a nest box it can be a difficult habit to break. Young chicks, ducklings or goslings should be kept under a close watch at all times during their rearing period, but from the numerous photo opportunities that arise from them doing something cute or hilarious they can also be a real joy and a thoroughly satisfying investment of your time. Just ask Theobold II (Theobold III dad for obvious reasons) as he glides majestically back and forth across our pond: it might take a little work but rearing your own chickens or ducks, guinea fowl or quail, geese or even a turkey can make a flock very much a part of the family. Our Gypsy Delivery Squad (a grand name for what boils down to a nice drive around the countryside eating liquorish torpedoes) were out and about again this week, delivering a lady her second Gypsy Henhouse and what incidentally, is Flyte so Fancy's thirty ninth Gypsy Henhouse delivery. 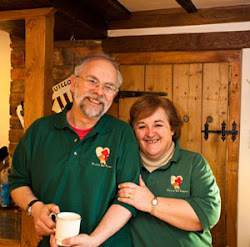 But before these two (Delivery Team pictured above) takes to the road to drop off these little chicken Shangri-Las, there is another "delivery" that takes place first; the complete hand building of the Gypsy hen house by a Dorset Craftsman. To begin with the shell of the Gypsy is constructed using our joinery grade timber. It is then hand sanded all over (resulting in a condition reminiscent of tennis elbow for the workshop foreman), any edges are planed and hand sanded again, so that there are no sawn edges and running your finger over the wood of the hen house is like soft velvet. Once the core of the Gypsy is done, the foreman then dresses the hen house with its solid chandlery brass hinges, locks and latches; often having to make the minutest of cuts into the wood so that everything fits perfectly. Once the hen house is dressed, it is de-frocked of its brass fittings and our resident artist administers three layers of the finest quality breathable paint, all applied by hand, with the ample help of the Rolling Stones playing on the stereo. It as this point that any unique hand painted decoration is added to the house. The ivy and daffodil finish will always be my favourite, I think. The Gypsy hen house then returns to the workshop for the foreman to give it the once over, those little necessary finishes, before he moves onto the next phase of applying the roof. Made of the strongest heavy gauge steel, they assure terrific protection from the elements for the residents within. Once the trim is on the roof our foreman turns his attention to the last stage of constructing this beautiful hen house. Handmade by a local artisan, the wheels and axles are forged from heavy gauge solid steel. 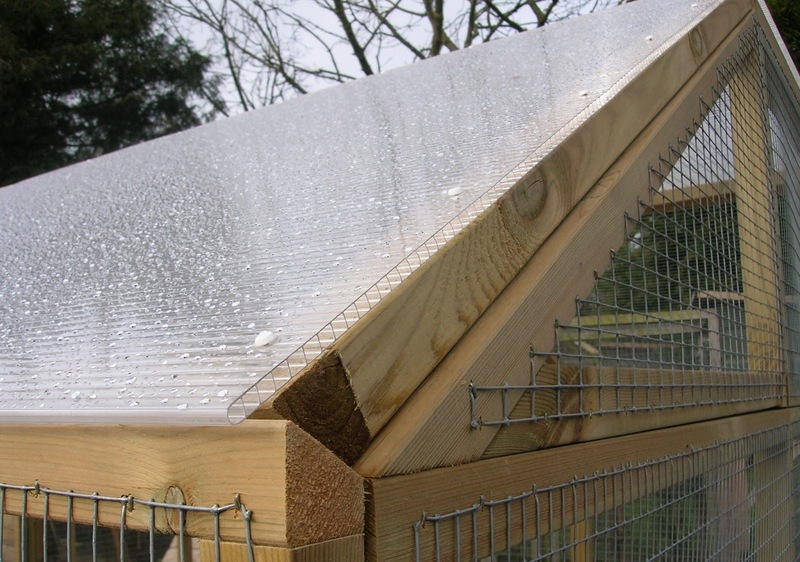 Once they are double coated for maximum durability they are attached to the hen house. A final going over with a soft brush to get the sawdust out of those corners, the pulling bar is attached and the Gypsy makes it grand exit from the workshop. It is at this point that the aforementioned Gypsy Delivery Squad swoop in; load it up into the Flyte so Fancy trailer and go on to deliver the Gypsy Henhouse (pictured below in situ), the foreman goes for a well earned cup of tea and all the hubbub and excitement dies down...well until the next one at least.